THE BEST, JUST GOT BETTER! requested by farmers over the past 32 years. a high-speed, heavy duty driving power tool. Portek have been supplying bird scaring and agricultural products to the trade for over 30 years. Our commitment to introducing new and innovative ideas and products to the market is unrivalled. This wide range of products is sold through our extensive dealer network across the UK. Providing solutions for the farming industry, forestry and garden machinery distributors through innovation and good design. Portek have a full range of instructional videos on our YouTube channel. The ‘Portek Media’ channel is your starting point for help with most Portek products, and will help you to better understand how to assemble, maintain and get the best from your Portek products. 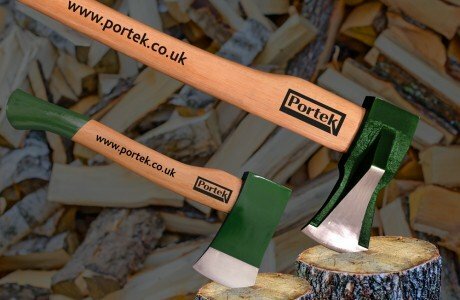 Portek have the widest range of bird scaring products available in the UK. From simple tried and tested banger ropes and rockets to sophisticated gas guns and everything in between. Our bird scaring knowledge, built up over many years working with farmers, has culminated in a superb product range which has proved to be extremely effective in saving valuable crops from bird attack. The well established Cow Clog brand name is naturally linked in people’s mind to foot trimming in cattle. A best seller, Original Cow Clog using state-of-the-art specially developed bovine adhesive. Please note BOVEQ Cow Clog has now become discontinued. From the designers of the original heavy duty Logmaster log bench, comes a range of well designed landscaping and workshop products including chainsaw sharpeners and replacement strimmer heads. Please note the Chainmaster Mini MK2 has now become discontinued. A range of useful products to combat the ever increasing legislation regarding agricultural chemicals helping farmers to protect the environment and their livelihood.